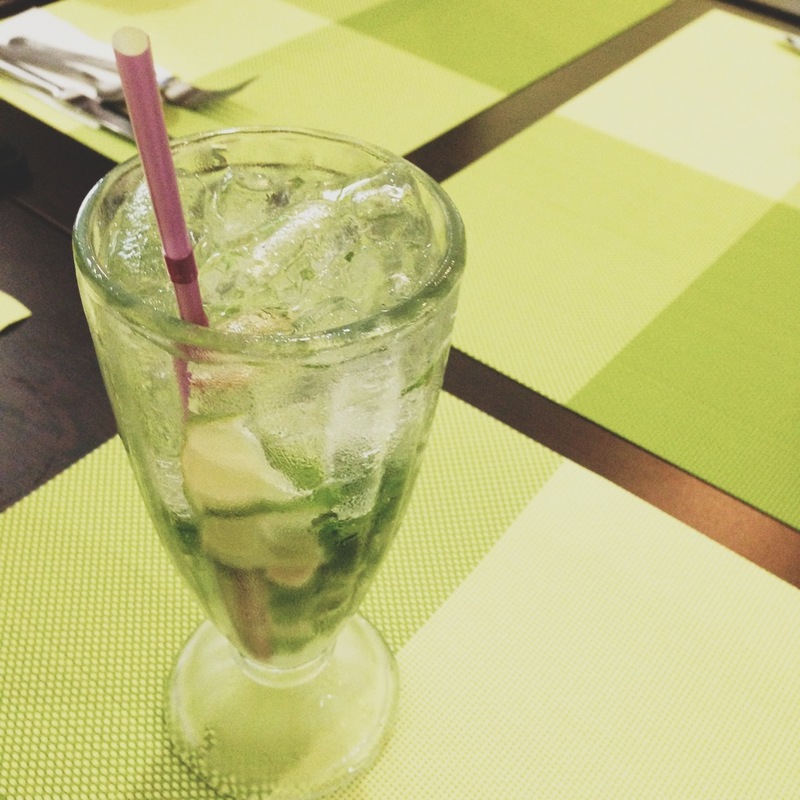 Hidden Hideaways: The Lemontree Bistro – ruru's ruminations. A mention of the club brings amused chuckles and knowing glances- everyone takes it as a barely concealed excuse for spoilt kids with a buck to spend to rack up the CAS points whilst spending time with friends. Finally some bona fide food enclave searching; purveyors of unbeknownst cafés and bistros may now rejoice in glee! A sorely unpretentious little thing tucked away in some obscure, nondescript building opposite the National Library, adjacent to a Chinese teas shop cluttered with bits and pieces of miscellaneous crockery. Coupled with a tacky yellow and green sign with Lemontree Bistro in heart-wrenching Comic Sans writing, it made for a perfect C.A.S find. Was this not what we set out to do? To discover unexplored culinary gems in the heart of this little red dot? The owner of this little shop must have gotten quite a shock when an influx of roughly a dozen students (clad in green and armed with oversized bags) scurried into the enclosed space. One could imagine him/her an eccentric pendant adorned with an apron, scrubbing away at a squeaky green mug- yes, and with a penchant for all things green. Although the entire layout of the place screamed of amateurish laziness, the Lemontree Bistro certainly lived up to its name. Green, yellow, green- the staunchly bright colors were everywhere. Rather endearing in its simplicity, but I suppose it depends on interpretation. One could go berserk over the kitschiness of the place. Certainly a price- efficient stop. For the comforting Western nosh-tosh that they serve, a meal here could be worth, say, about 20 dollars (excuse the sky-high cost of living here in Singapore.) 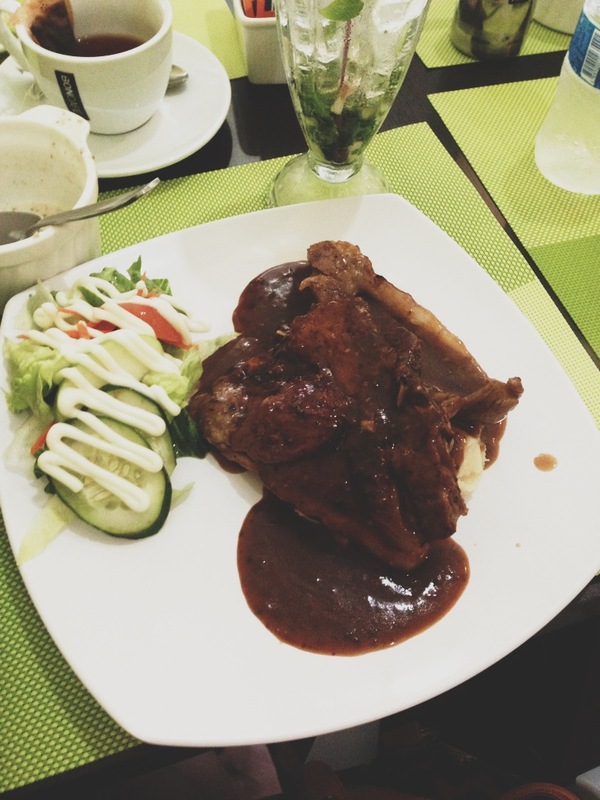 But perhaps its obscure location and relatively untouched furnishings (save for the ridiculously green makeup), thrown in with the absence of GST, left me with a mushroom soup, a drink, and a pair of lamb chops for $12.90. Pretty worth it, if you ask me. 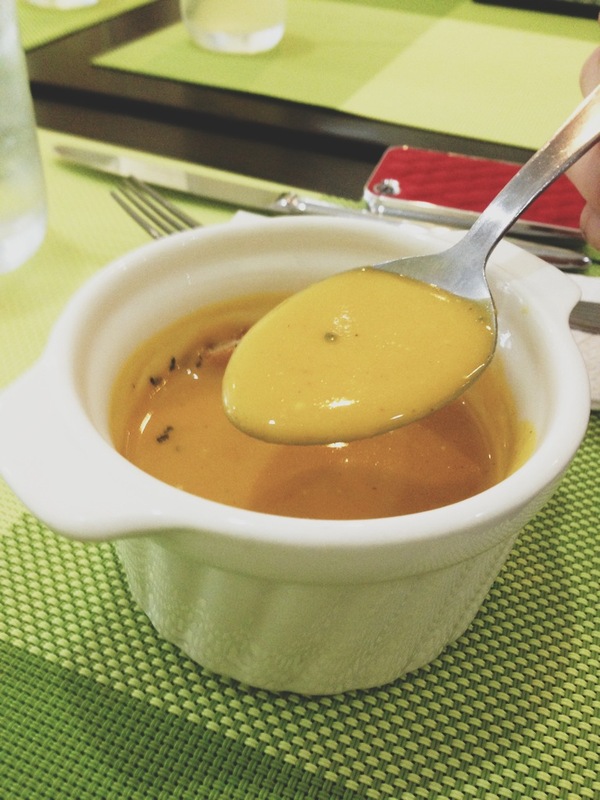 Alex’s pumpkin soup was a smooth, creamy delight; hints of sweet coalesced with velvety puree. It wasn’t anything amazing- but then at this price this far exceeded expectations. I had expected a can opener, a Campbell’s tin can, and a saucer on the stove. But canned soup we did not receive. 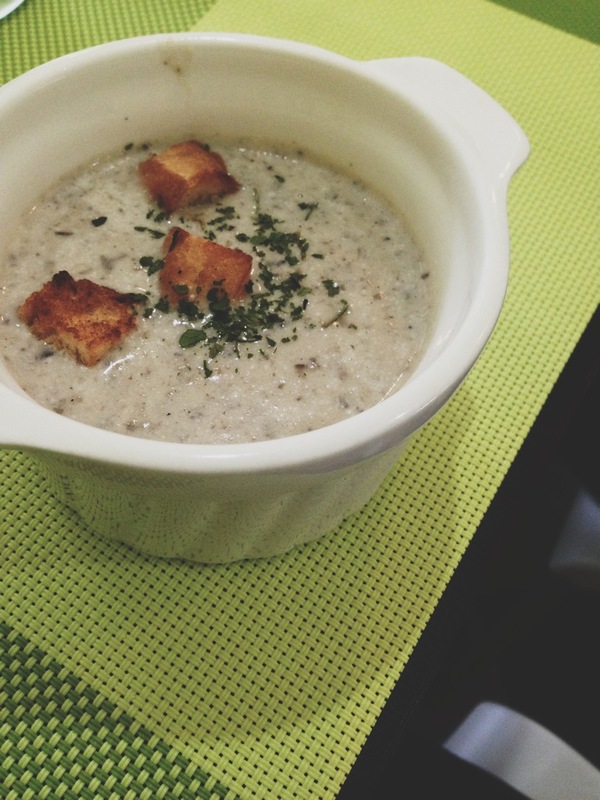 A window of delight opened up in my mind’s eye as I anticipated my mushroom soup. Not a hint of sweet or cloying canned soup in this thing. It was the real deal- full cream, real mushrooms, fresh herbs, croutons. Nothing special, again, but the daringly low expectations I had were far surpassed, leaving me somewhat abashed at having so little faith in this nook. 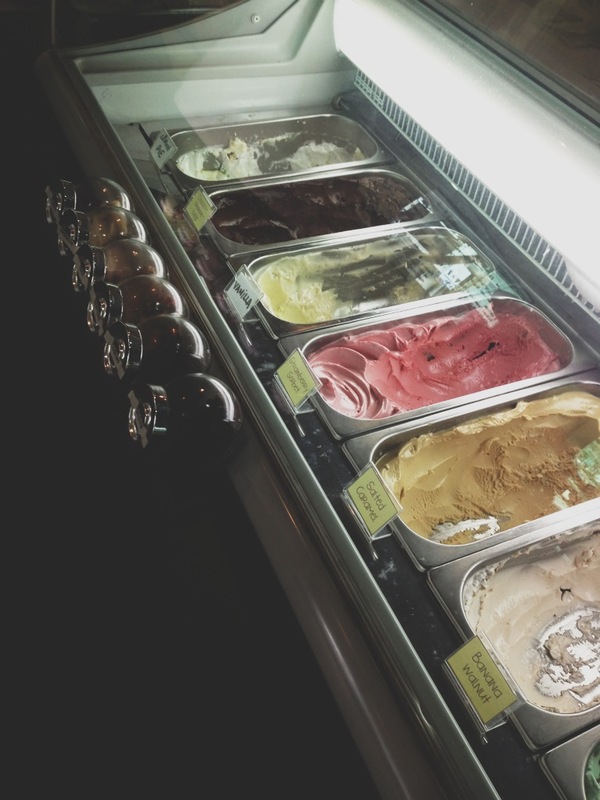 The lamb took some time to come, so I whirled around to sample their gelato. When in doubt over what to choose, always go with the most popular flavor. How do you gauge that? Well, their lemon pie was scraped down to the very last scoop- so I surmised that it must be pretty outstanding. And outstanding it was. Citrusy flavors reminiscing old Dulwich canteen finds of lemon meringue pies and tarts, blended into the creamy, sweet, meringue-y ice cream. And finally, the lamb chop. Drowned in a brown peppery sauce, yet strangely appetizing to one very ravenous student. Until the attempt to cut it into pieces. Large, unappetizing chunks of translucent fat, barely masked by the murky gooeyness. 70% fat, 30% meat. Not the most appealing ratio. You get what you pay for, I guess. I’d recommend this place if you’re a bit tight on cash, or just dropping by the library (certainly lighter on the pocket than the Hanis café there). Stick to their desserts and waffles though (the colossal dollop of ice cream on that thing absolutely stuns).